Travel theme: One Colour | Where's my backpack? Most people think of monochrome photography as being solely black and white, but the definition also includes photos containing varying tones of one colour. After browsing through a monochrome photography exhibit earlier this week, I went looking through my travel shots for photos containing one predominant colour. It turned out to be a lot of fun and I was surprised at how many shots I’ve taken that have one main colour. Here are the red halls of Seattle’s Central Library. Getting artsy with raindrops on leaves at the Bloedel Reserve on Bainbridge Island. Sizzling hot California sunset just south of the Oregon border. 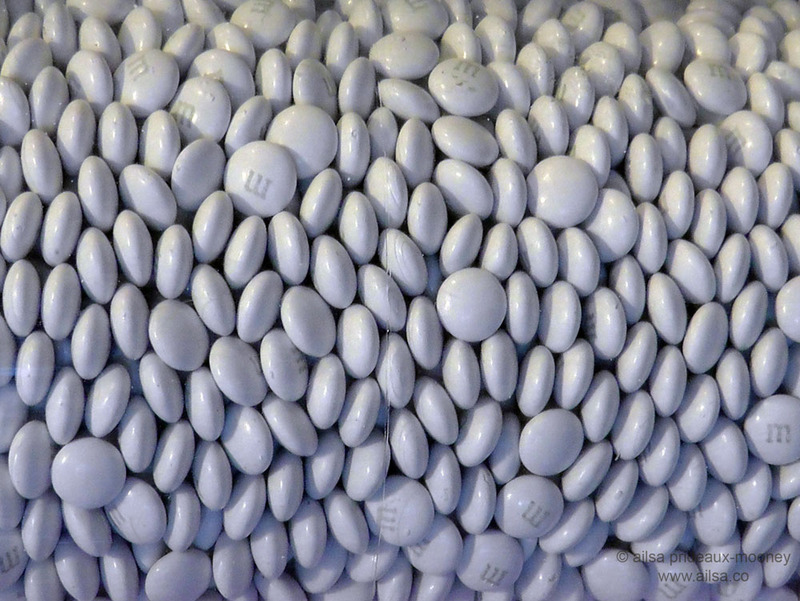 Pearly white M&M overload at the flagship store in Manhattan. 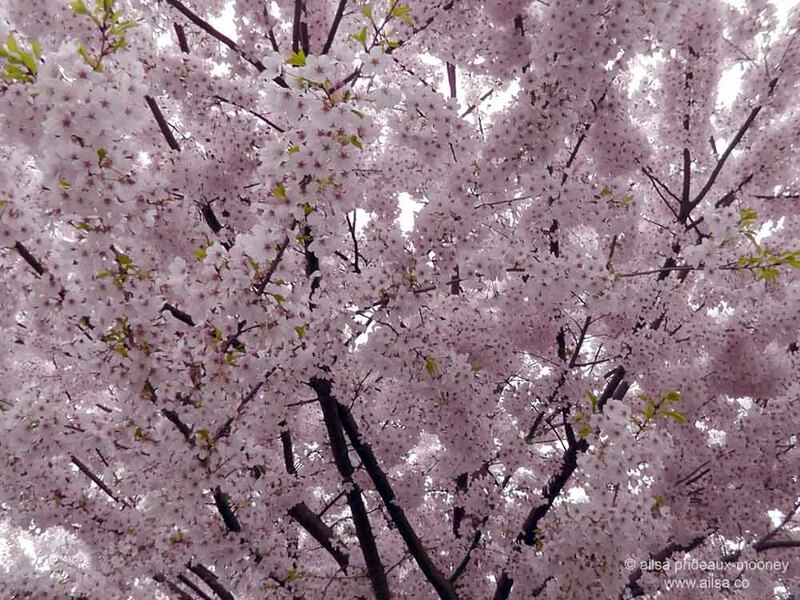 Fluffy pink cherry blossom season in Seattle. It’s hard to find a Holi photo with just one colour in it, but this is the closest I got to monochrome in this frenzy of colour. White M & M’s, Ailsa! I thought you were on pills for a minute there 🙂 Happy weekend! Happy weekend to you too, Jo! Lovely theme, Ailsa! All of your photo’s are special, they draw me in. Haha, grey is usually more fitting, AJ, mind you, the last week or so has been amazing, hasn’t it? Here’s hoping it’s here to stay. Awesome photographs you have this week. That sunset is amazing and the MM’s makes me want some right now. Ailsa Hello , I love the fruit and would love to invite you to grapes . Not if you have them in your city this season , I guess if because here we come from Peru or South America even when there are none in our vines. I vote for the sunlight and cherry blossoms!!! gorgeous!!! I have found something… in Indonesia. YUM … I love me some M & M’s All color and lots and lots of them. Love the raindrops on the leaves. Here’s my attempt at one color. Hope you enjoy and have a nice weekend.